Martinez contacted ZBro’s Championship Belts, a company in Michigan, and told them he needed three belts on a rush order for his July show. ZBro’s delivered the belts. Martinez never delivered the payment. 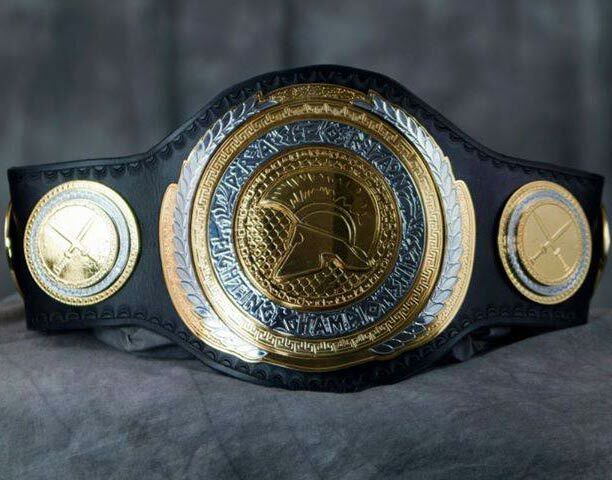 “He still owes me $1800 for 3 belts,” Marcus Zeoli, owner of Z Bro’s told Chicago’s MMA. Three weeks later Zeoli had still not received payment. He texted Martinez to inquire about it, and at that time Martinez told him he was “working out details and was going to reach out to u.” Martinez again asked Zeoli to trust him that payment would be made soon and that he was getting ready to “announce big things.” But Zeoli still hasn’t got paid. Zeoli sent me two screenshots of their text correspondence. He says he has about 15 in total where Martinez promises him payment. It’s 2013. There’s nothing to “coordinate,” you don’t need USPS and you certainly don’t need someone that lives close to the person you owe money. You wire it, PayPal it, use the quick pay feature from your bank. It takes all of about ten seconds to complete a simple financial transaction these days. I half-expected Zeoli to show me a text with Martinez claiming The Pony Express was closed on Sundays.